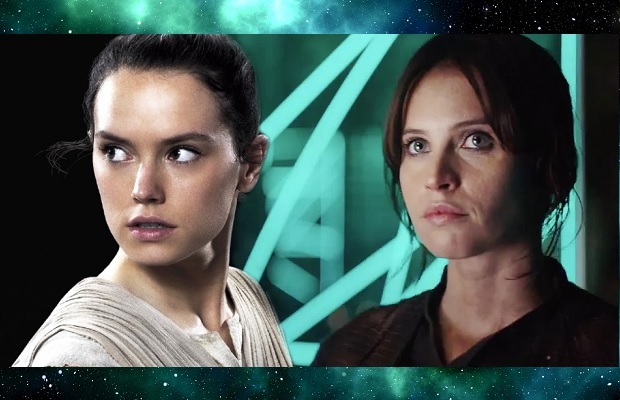 Disney’s formula has successfully engaged both male and female audiences ahead of the eighth Star Wars film’s public release on December 15th. The study, conducted by GlobalWebIndex among 89,029 internet users, across 40 markets, reveals that the diverse Star Wars audience presents new creative opportunities for brands, but marketers must tread carefully in the wake of EA’s Battlefront 2 debacle. While the core audience is still weighted towards younger men, 37% of internet users who are Star Wars fans are now female and almost half of the international audience is aged between 35-64. Equally, the split between parents (51%) and those without children is almost an even split, highlighting the film successfully engages with both audiences. Instead, film studios should keep in mind that Star Wars fans are vocal critics, especially in relation to film. 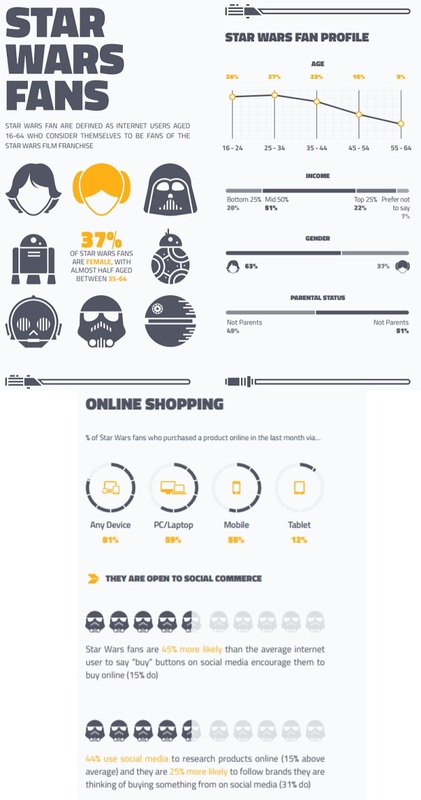 Compared to the average internet user, Star Wars fans are 37% more likely to have posted online about films in the past month. 58% regularly inform friends and family about new products and services. With their tendency to share their experiences with others, EA’s recent scandal around the Battlefront 2 Star Wars game may have left a sour taste among many franchise fans. 91% of whom say they use at least one device to play video games. With most of the uproar around EA’s latest Star Wars game, which is not only expensive to buy upfront but then relies on players to spend money to win in-game bonuses, it’s interesting to note that 23% of the Star Wars gaming community have purchased a game add-on in the past month. They are also 74% more likely to say exclusive content will increase their interest in buying a product. All figures are taken from a Q2 2017 wave of online research with a global sample size of 89,029 across 40 markets (with 72,529 surveys completed on PC/laptop/tablet and 16,500 surveys completed on mobile). Among this cohort, there were 11,410 Star Wars Film Fans* and 2,898 Star Wars Gaming Franchise Fans**. Indexes are against the average internet user aged 16-64.